Bed and Breakfasts near Macclesfield Town Moss Rose for 1 night from Sat Apr 20, 2019 to Sun Apr 21, 2019 within 25 miles, in an Average Nightly price range of £1 to £200. Situated in the heart of Prestbury, The Bridge Hotel boasts 23 rooms, free parking and easy access to the Cheshire countryside. Dating back to the 13th century, the beautiful St. Peter's Church is next to the hotel. Each room at the Bridge Hotel has free Wi-Fi, an en suite bathroom and high standards of furnishing and dÃ©cor. Guests can also enjoy tea/coffee making facilities, a TV, and views of the garden and River Bollin. The award-winning Bridge Restaurant offers a contemporary Ã¡ la carte menu featuring international dishes. Live music can also be enjoyed on Fridays and Saturdays evening. Breakfast, which features Full English, continental and a selection of cereals, is served daily in the restaurant and it comes at a surcharge. Conveniently located in the tranquil countryside, this hotel is also 16 miles from Manchester city centre. The market town of Macclesfield is 10 minutes' drive from the property. Set in 270 acres of Cheshire parkland, the Georgian country house Mottram Hall boasts a spa, leisure facilities and 2 restaurants. It is 5 miles from Manchester Airport, and has its own 18-hole championship course. The indoor spa offers a range of treatments, along with an aerobic and spinning studio, a swimming pool, sauna, steam room and spa bath. The innovative Alfresco Thermospace offers unique outdoor spa treatments. Guests can enjoy a game of tennis on the hotel's courts. The Carrington Grill serves a fine menu, while the Cocktail Bar offers a relaxing environment. Built in 1721, the Mottram Hall retains many original features. All bedrooms feature fine quality Egyptian cotton linen, tea/coffee making facilities, free WiFi, and a Smart flat-screen TV with satellite channels. Mottram Hall has free parking, with spaces for up to 300 cars. Guests can enjoy a variety of woodland and countryside walks are available nearby. De Trafford By Good Night Inns is in Alderley village, just a 5-minute walk from Alderley Edge Train Station and about 5 miles from Manchester Airport. All bedrooms were refurbished in 2015. The hotel is next to a Chef and Brewer restaurant, and has meeting facilities and rooms with comfy beds. The hotel is south of Manchester, 14.7 miles from the city centre. 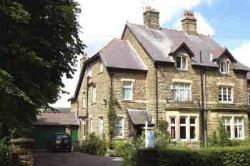 De Trafford By Good Night Inns is located west of the Peak District, and near to the shops and pubs of Alderley. The Kings Arms is a public house that offers guesthouse accomodation which comprises of twin and single rooms all rooms are ensuite LCD tv s and tea and coffee facilities. Breakfast times Monday to Friday 7.30am to 9.30am. Saturday and Sunday 8.30am to 9.30am. Breakfast is optional �8.00 for a full cooked breakfast. Car parking for 25 cars bar area serving traditional ales and wines and the well known PhanThong Thai restaurant. The restaurant is open Tuesday-Sunday 12.00-15.00 for lunch and 17.30-22.30 for evening service. If driving The Kings Arms is located 10 minutes from Manchester International Airport 10 minutes from the M56 30 minutes from Manchester city center and a 5 minute walk from Wilmslow train station. ALL ROOMS ARE STRICTLY NO SMOKING TO ENSURE ODOUR FREE CLEAN ROOMS. FREE WIFI FOR ALL GUESTHOUSE CUSTOMERS. Featuring a terrace and shared lounge, King William Rooms is set in Wilmslow, 3.7 km from Quarry Bank Mill and Styal Estate. This 4-star inn offers a bar. The accommodation features free WiFi. The units in the inn are equipped with a flat-screen TV. The private bathroom is fitted with a shower. All guest rooms will provide guests with a wardrobe and a kettle. The nearest airport is Manchester Airport, 12 km from the property. Overnight Stays is set next to the A6 main road, 2 miles outside Stockport and next to Stepping Hill Hospital. It offers rooms with private or shared bathrooms. The rooms have simple dÃ©cor and come with a TV and fridge. There are regular bus connections to central Stockport and trains to Manchester stop at Hazel Grove Station, 10 minutes' walk away. The Vicarage is a stylishly renovated 17th century Grade II listed country pub bar & restaurant with 26 quirky modern rooms. Pet-friendly accommodation. Free private parking is available on site. Complimentary wifi throughout. Inside the rooms Every room has a flat-screen TV. Comfy beds Locally supplied Tea & Coffee Facilities. Large Desk with a bankers light. Multiple Power Points. Mini-Library. Free Wi-Fi throughout. 32 Plasma TVs and Rainmaker Showers. Property highlights Stepping into the building you will find 26 en-suite bedrooms a uniquely designed and welcoming restaurant bars and a library as well as a conservatory overlooking the river and the pastoral Cheshire countryside. There are various snug areas to relax and unwind with a games room and a sun-trap beer garden. The seasonal menus emphasise the excellent British regional food and drink and wherever possible sourced from local suppliers. The location The Vicarage is positioned in a beautiful Cheshire Setting 5 minute s walk from the village of Holmes Chapel on the A50 heading north. We are conveniently located for easy access to the North West and Manchester Airport and is just 1 mile from Junction 18 of the M6 motorway. We are also just one mile from Holmes Chapel train station which has direct links to/from Crewe Manchester (32km) and Manchester Airport (18km). Hidden away within 20 acres of landscaped gardens in the heart of the Cheshire countryside, De Vere Cranage Estate has an indoor swimming pool, sauna and steam room. On-site parking is free for guests. Each elegant room at De Vere Cranage Estate has a TV, desk, tea and coffee making facilities and free Wi-Fi access. There is also a hairdryer in each room, along with a safe for valuables. There is a fitness centre for guests to enjoy, with an aerobics studio, swimming pool, sauna, steam room, Jacuzzi and outdoor tennis court. The restaurant serves a varied and locally sourced menu, and the games bar has satellite TV. The M6 motorway can be reached in 5 minutes' drive, while Chester Zoo is 20 miles from De Vere Cranage Estate. Guests can also enjoy a range of walking and jogging trails nearby. The nearest airport is Manchester airport, only a 30-minute drive away.